Get your signage ready for the highest retail season of the year! The holiday season is just around the corner, and this means that shoppers are ready to throw their money, in search for the best deals, greatest services, and the perfect gift. It is the ideal time of the year to catch new customers and welcome back the faithful ones. Nonetheless, to achieve these, your commercial sign should be in great shape, looking at its best and ready to survive the harsh weather. Boost your income during the holiday season. Commercial signage plays a huge role in branding. It is the first impression between potential customers and your business. Without a doubt, winter will take a high toll on your business sign. Therefore, it is vital to have them looking their best and in excellent conditions, to send the proper message to your customers during the entire season, avoiding safety risks. At Summit Customs, we are aware of how vital and useful our commercial signs are during the holiday season. Therefore, we always suggest that our customers run preventive maintenance checks to identify any sign of wear or tear that requires attention before winter strikes. Catching any sign of damage in time will ensure the success of your signage during the holidays. Also, it will avoid paying large amounts of money fixing your sign when snow is already here. If you leave your commercial sign unattended it is possible that electric equipment fails, paint can get scratched, cracked, and blistered. Even worse, hinges and other structural components could grow rust, wearing it out. All of these damages will not only display a poor image of your business, but they could become a huge risk to people’s health. If you notice any of these or other signs of deterioration, don’t hesitate to contact the sign experts in Colorado. You are just in time. 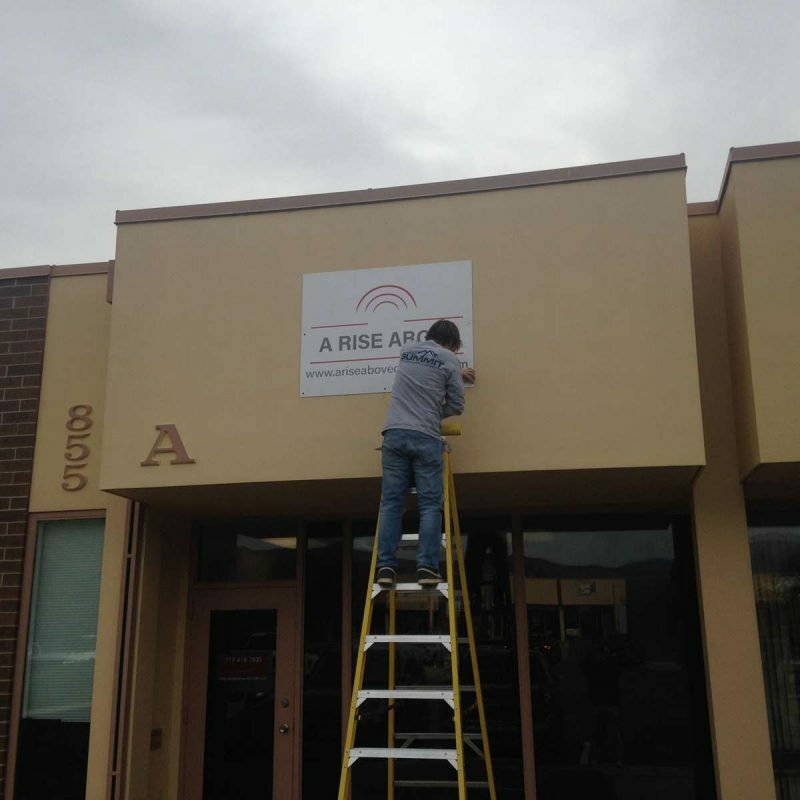 After decades of providing the best sign services and creating the unique and striking commercial signage in Colorado, at Summit Customs, we are convinced that preventive maintenance, is your best option to catch all of those holiday shoppers while keeping a safe environment for staff, partners and clients. Contact Us today, and learn everything you need to make this holiday season the most profitable one.